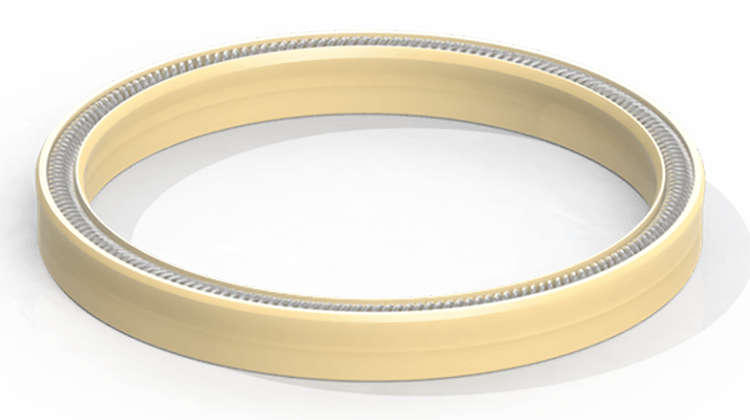 Extended Heel Canted Coil Spring Seal - Eclipse Engineering, Inc.
Canted coil seals are often specified when less than ideal run-out and side-loading conditions are present. If these conditions exist, there is a good possibility that large extrusion gaps exist. The simplest method of increasing the resistance to seal extrusion in these cases is to upgrade to and extended heel design. The addition of extra seal jacket material protects the functioning (spring) side of the seal from distortion that may cause seal failure. By specifying and extended heel version, pressure ratings can be doubled over non-extended designs. Water jet cutting systems are often built with extended heel designs.